Oooh, that's a lot of blood. Speaking of hurt, it's time for another feel-fest as Invel's horrible plan that he thought of 3 minutes ago is coming to fruition. Man, he's a real smarty pants when you think about it... Anyway, it's time for Gray vs Juvia! It's time for a Death Battleeeee! Well, more like a One Minute Melee but still... fight! I bet that Naruto ending is looking pretty good right now, huh? 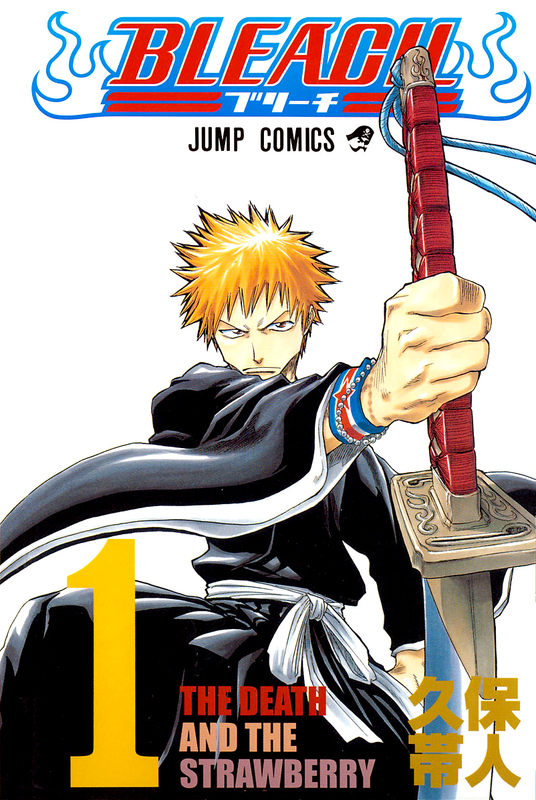 Seriously, the people who thought Naruto's ending was "the worst ever" clearly have never read another manga in their life. From Gantz to Negima, manga have suffered with it's endings and today, we're here to talk about yet another victim in the line of pain that is... endings! 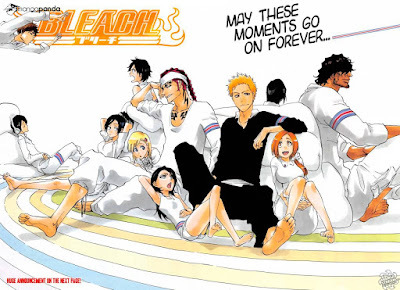 Thanks to Pomelote already doing a summary, I'm just going to skip right ahead to the pros and cons of this final chapter of Bleach. For Pomelote's thoughts on this ending, click here. None of us can deny that the art of Bleach got fantastic by the end of it though. Much better than weird frog-frown here. Aw, that's cute, the striped bands are the pattern that used to be on the tankoubon volumes. And now, at last, the trainwreck comes to a halt. On top of a children's hospital. Leaking its radioactive cargo into the environment around it, rendering it uninhabitable for decades to come. It didn't end after one chapter! This chapter ended in a way with huge potential, but we also know that the next chapter could be heavily disappointing if history repeats itself by bringing in an asspull, like it did with Silver and many other villains. We're all praying for this to go well, but for now we must wait and... oh hey, Mavis is being tortured! First, quick recap of the last chapter: All Might is going through a crisis, Uraraka is in love with Midoriya, and they meet there greatest competition for the exam, Shiketsu High. One of the Shiketsu students is a weird guy named Inasa, he is apparently stronger than Todoroki. Alright, back to the review. As the students talk about Inasa, Aizawa is greeted by an old "friend", a pro hero named Ms. Joke, they crossed paths a lot before they both became teachers. 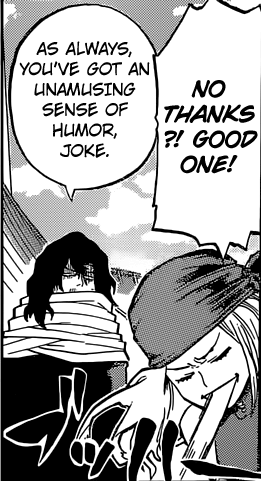 Her quirk makes people laugh. Ironically, her jokes do not. This chick is a little annoying. Is that her tongue? Or spit? Seriously, what the hell is that? 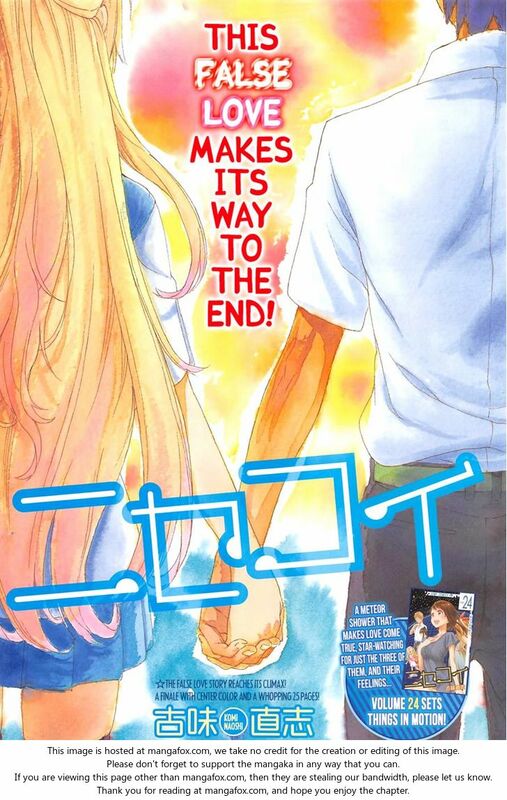 It's time for another edition of WINP and this one goes to the recently finished romcom manga Nisekoi. For those who don't know, the WINP article is when I take a look back on a series and say what were the biggest flaws of a series that I enjoyed greatly, and you all call me an idiot for daring to speak against it. So I'm going to talk about Nisekoi, and you're going to call me a jackass. Ready? Let's go. Spoiler Alert: There are spoilers. 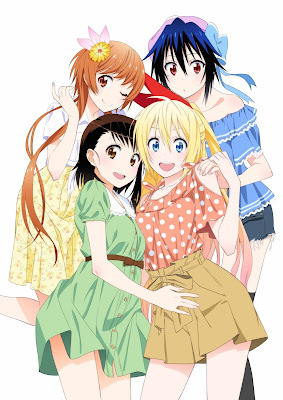 ....Onodera, what are you doing with your hands? Yeah, we're men who read Nisekoi. So? 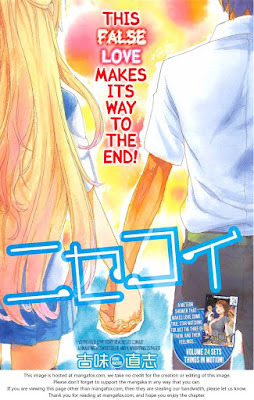 This week, Naoshi Komi's romcom manga Nisekoi finally ended after it's 229 chapter run that began November 2011. (There's also a few spinoff chapters and a light novel or two, but we're not counting them). So just like we did with Naruto, all the writers of Otaku Nuts that actually read Nisekoi are giving their opinions in articles. Now, let's talk about love! Ending after 229 chapters... Such an odd and unpleasant number to end on. 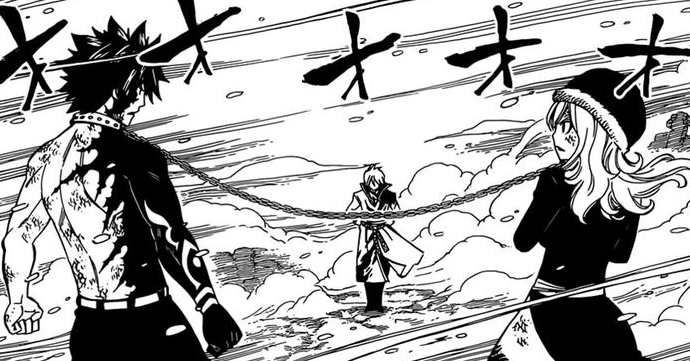 Fairy Tail Chapter 496 Review - Forward! 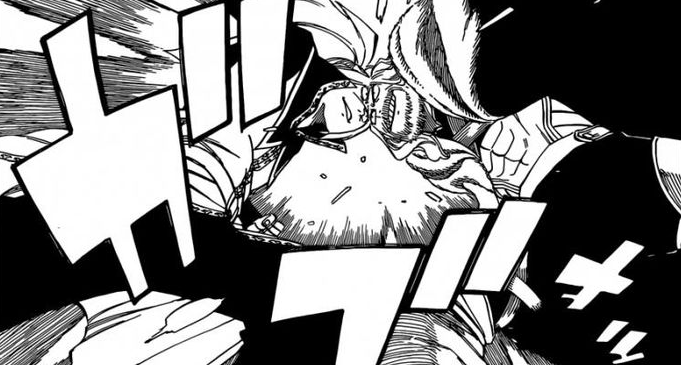 Man, Gildarts really loves headbutting people, huh?